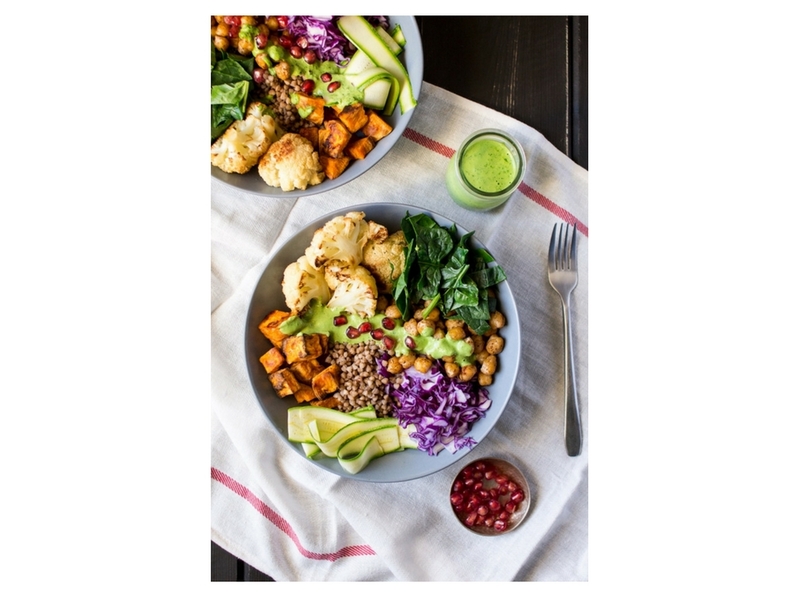 There are so many delicious vegan foods out there currently so we have thrown together this Vegan winter goodness bowl just for you! We’re lucky enough to have most dietary choices catered for these days, very different from when Veganism first started when it was just carob and tofu! A winter goodness bowl with a green sauce makes a healthy and filling lunch for busy days as you can prepare individual components in bulk ahead of time. We hope you enjoy this Vegan winter goodness bowl of deliciousness! We have lots more vegan recipes on our blog like Adzuki bean and Sweet Potato bake and Black Bean Enchiladas that are gluten-free too! Or just go to our recipes the main page to see what else we have for you to try!